Getting great results with your training is not just about selecting the right exercises, sets and reps. How you do each rep plays a key role in creating a specific type of stress on your body, thus dictating how your body adapts. Your goal, level of experience and even the exercises you select can impact how you should perform each rep. If you want to take your training to the next level, make sure you are doing your reps the right ways. 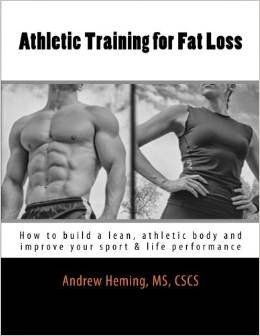 About 15 years ago, smart coaches such as Charles Poliquin and Ian King started writing about tempo. Their idea behind it was simple – how you do a rep and how long it takes you to complete a set will change the type of training stress you will receive from that stress. Since then, many coaches have embraced tempo prescriptions to some extent. Some have (in my opinion) gotten carried away with tempo prescriptions and tried to get people to lift to metronomes or counting seconds in their heads. The problem with this is that when you are lifting heavy weight, you need all your neural drive going into doing the rep properly. Trying to count tempo in your head is a distraction that can decrease your performance and increase your risk of injury. However, it is important not to overreact the other way on this and ignore tempo all together. How you do a rep does matter. Rather than counting tempo numbers in your head, know how you want to do your reps before you start your set. Here are 8 effective lifting tempos that you can use to build a better body. Explosive tempos look fast. Examples include jumping, sprinting, throwing and Olympic-style weightlifting. If you are an athlete, you already know that these explosive reps will build the game-changing speed and power you need to dominate your competition. However, these explosive reps are also helpful even if you just want to look good naked. Explosive reps are a fantastic way to excite your nervous system and tap into your high-threshold motor units (the ones with all the fast-twitch muscle fibers) – which are great for burning calories and have a huge potential for muscle growth. Following up your warm-up with some explosive sets is a great way to improve performance on your other lifts. For more ideas on explosive exercises, checkout this playlist on my YouTube channel. This term was created by the legendary Dr. Fred Hatfield. More recently, one of his protégés elite strength coach and author Josh Bryant has re-popularized this excellent method. The idea was that you attempt to accelerate the weight up as quickly as you can while maintaining proper form and tightness. Some people mistakenly look at this as cheating. However, done correctly, it actually makes each rep harder. Take the squat or bench press for example. As you move out of the difficult bottom position, you can coast through the easier top part of the rep or you can compensate for the mechanical advantage of this range by accelerating the weight as it gets easier. (Note: you will have to put the breaks on a bit at the top). This helps to recruit those important fast-twitch fibers and makes each rep of your set very challenging and effective! Note: with heavy weights the rep may not look fast, but it is your attempt to move it fast that counts! Sometimes the combination of big weights and the incredible amount of tightness needed to lift them safely and effectively results in slower, more grinding reps. This is okay and it can make you really strong. A classic example would be heavy deadlifts. Note: if all your reps are slow grinds, it will make you slower and hurt your athleticism. However if you combine slow grinds with the methods mentioned above, you will build the ultimate athletic body – strong AND powerful! Controlled tempos are great for beginners. Trying to blast a weight up when you are not sure how to do a movement is a recipe for injury. Instead, beginners should start as slow as needed to get the movement quality down. Then they can move to faster rep tempos. Controlled reps are also great when the goal is stability. For example, when doing exercises such as get-ups or bottom’s up kettlebell pressing, the goal is to teach your body to control the unstable weight while you move. Don’t try to rush your reps when stability is the goal. Continuous tension is as the name suggests doing a rep in a way that causes the muscle to be under tension the whole time. Christian Thibadeau described this best as trying to flex your muscles while holding a weight. This works great on single-joint accessory exercises (e.g. side DB raises, flies, biceps curls). Whether you are doing accessory work for injury prevention or to look good on the beach, do these reps in a manner that targets and fatigues the desired muscle(s). To do a rep without the assistance of momentum sounds like a good idea. It does increase the time a muscle is under tension and that can result in metabolic stress which can trigger hypertrophy. However, extra slow reps are usually a bad idea. They force you to use less weight and recruit your slow twitch fibers. They also work the body in slow motion which is very unnatural and non-functional. This is great to decrease the stretch shortening cycle (rebound out of the bottom) and to build starting strength. Example: pausing at the bottom of a bench press before you explode the weight up. This provides a little rest at the top. If you goal is metabolic fatigue this is a bad thing. If it is lifting more weight, this is great! It creates a bit of a rest-pause like training effect. This also helps to provides a chance to get more air in and re-set before the next rep. Example: pause at the top of each rep of a heavy set of squats. This is where you pause at the hardest part of the movement. It is great for increasing time under tension and metabolic stress. Example: pausing at the top part of a row when your shoulder blades are squeezed. 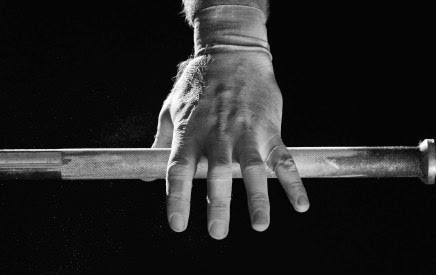 Static or isometric holds are a great way to build incredible strength in a specific position. This can be a simple hang from a chin-up bar to build grip strength, or an ab exercise such as a plank, static wood chop or L-sit. It can also be holding a specific position of a traditional barbell exercise to build specific strength at that specific spot (this is helpful for overcoming sticking points). Before you start a set, think about what you want to get out of that set and be sure you perform your reps that way you need to get the best possible results.